It’s time for David to drop his review of Guy Sebastian’s new album ‘Conscious’. But just what will he make of it? Love or loathe? It’s been three years since Guy’s last album of original content and in its time we’ve had some new tunes and an EP to tide us over. While there’s been mixed reaction to these releases, November sees all of Guy’s hard work pay off with his eighth album ‘Conscious’. 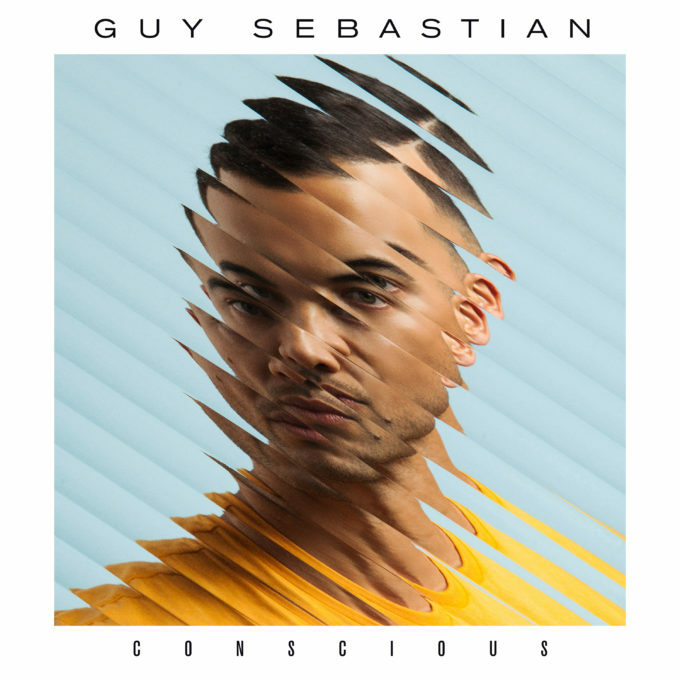 Arguably one of his best efforts in a long time, the album is a showcase of quality Australian music and is a perfect example of how far he’s come from winning ‘Australian Idol’ all those years ago. I was particularly harsh of Guy’s previous EP because the quality simply wasn’t there; the tracks sounded cheap and like they were following a trend (which never bodes well). Thankfully, Guy has taken the time and effort to create a collection of songs (bar one) that are worthy of his talent. They are original and suit his voice and style of music beautifully. They also feel current and unique. Stand out track from his previous single releases ‘Set In Stone’ is still one of the best tracks here. It’s hard to describe just how beautiful of a song this is, but all these months later it still feels fresh. This has been one of his better charting songs in the last few years and its success was well deserved. Thankfully there are some further tracks which are worthy of chart success too. ‘Vesuvius’ is one of my favourites and not because it’s talking about geology or history. The analogy used for this song about relationships is quite clever and really works. It’s set to a great beat that feels fresh and is worthy of some radio attention. I love a clever analogy and this one is ace. Where Guy continues to shine though is on the big mid-tempo numbers. Songs like ‘Chasing Lights’ or ‘Sober’ are prime examples of this. Both are well composed and relatable tunes. Guy also sounds the best he has in a long time with some amazing vocals being delivered across most of the LP. I haven’t felt like this since hearing his duet with Jordan Sparks back in 2009. The only moment which needs to be erased is the cheesy ‘Stay In Bed’. With hokey lyrics and some terrible melodies, it’s the only spoiler here. The message is sweet but is far from relatable. I also think referring to Netflix is as bad as being paid to include a large brand in a music video #saynotoproductplacement. I am thrilled to see Guy get some love again and I really look forward to his future single releases from this album campaign. MUST LISTEN : Set In Stone, Vesuvius, Chasing Lights. I love Vesuvius, Bloodstone, Sober and Exclusive. There is something for everyone on this album. Spot on review. Yeah there are one or two that I wasn’t feeling them as much yet other people love them.